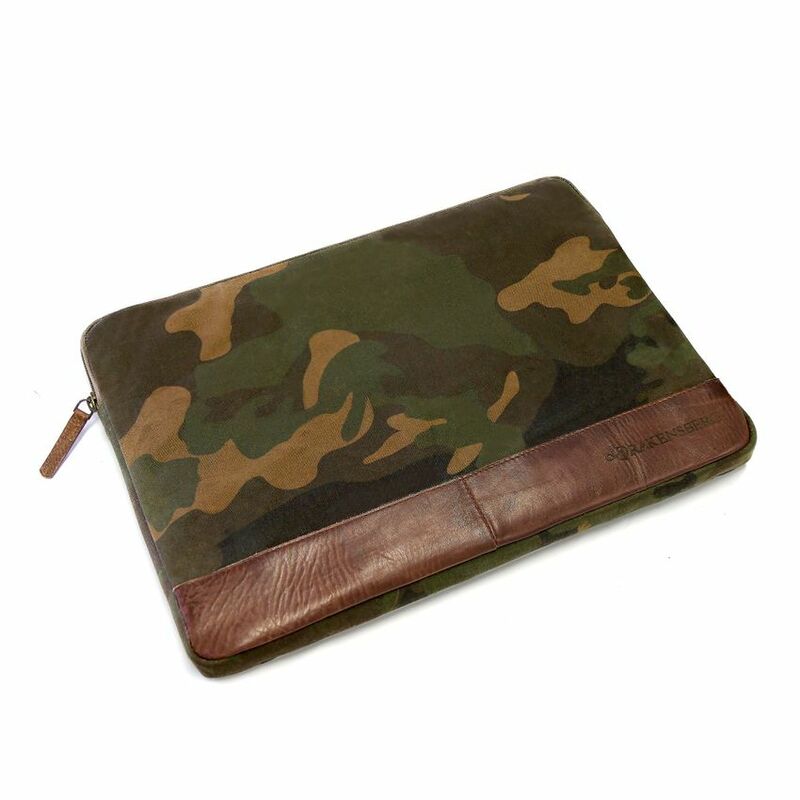 PROTECTIVE SLEEVE FOR LAPTOPS: This bag in camo-look is the perfect travel storage for 15“ laptops. 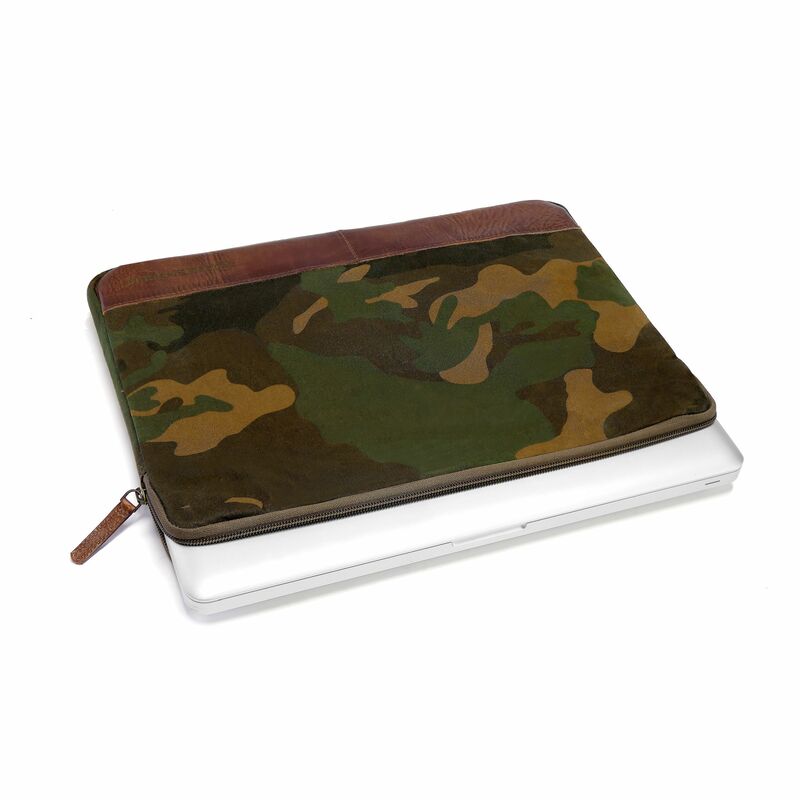 FITS NOTEBOOKS UP TO: 15"
WATER-REPELLENT & ROBUST: The camo-coloured laptop case is made of waxed canvas nylon and strong Italian vachetta leather. CUSHIONED: The bag is all cushioned to protect your precious device against shocks and rubbing. It closes with a zip. Note: The notebooks shown are for illustration purposes only and are not included in the offering. 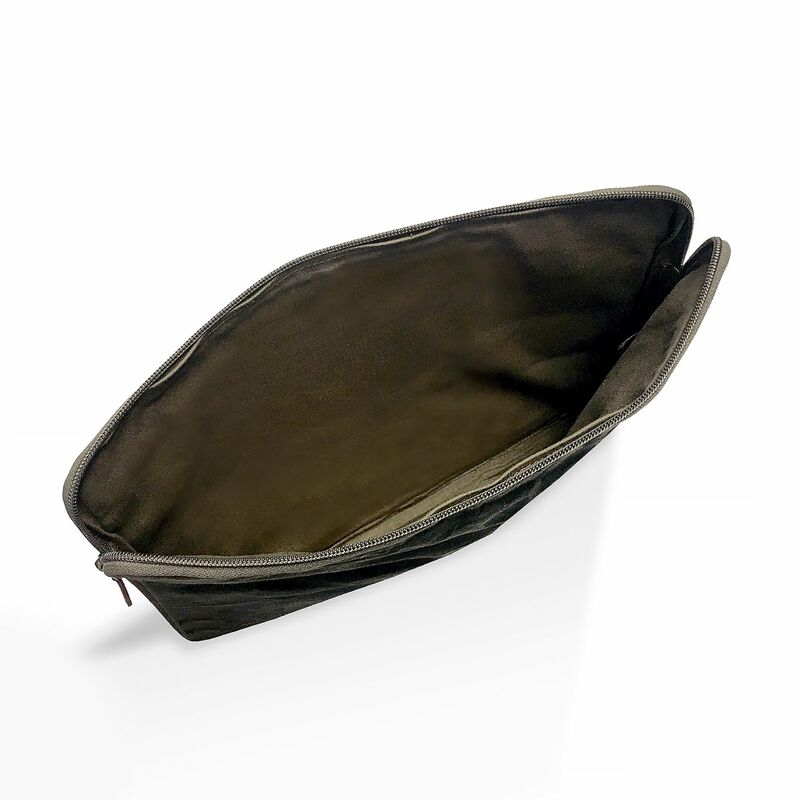 This bag in camo-look is the perfect travel storage for 15“ laptops. 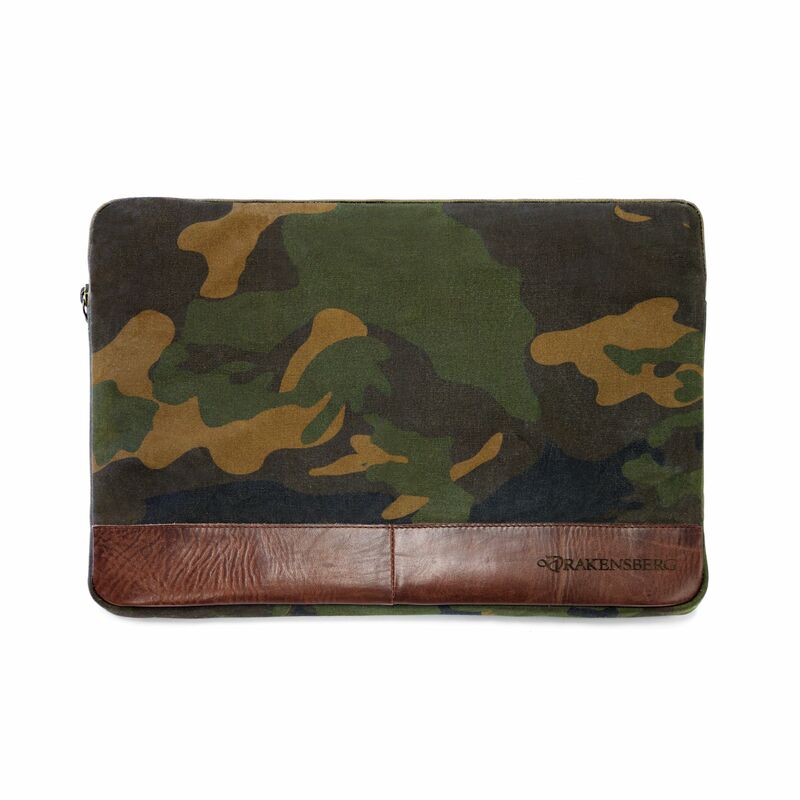 The camo-coloured laptop case is made of waxed canvas nylon and strong Italian vachetta leather. 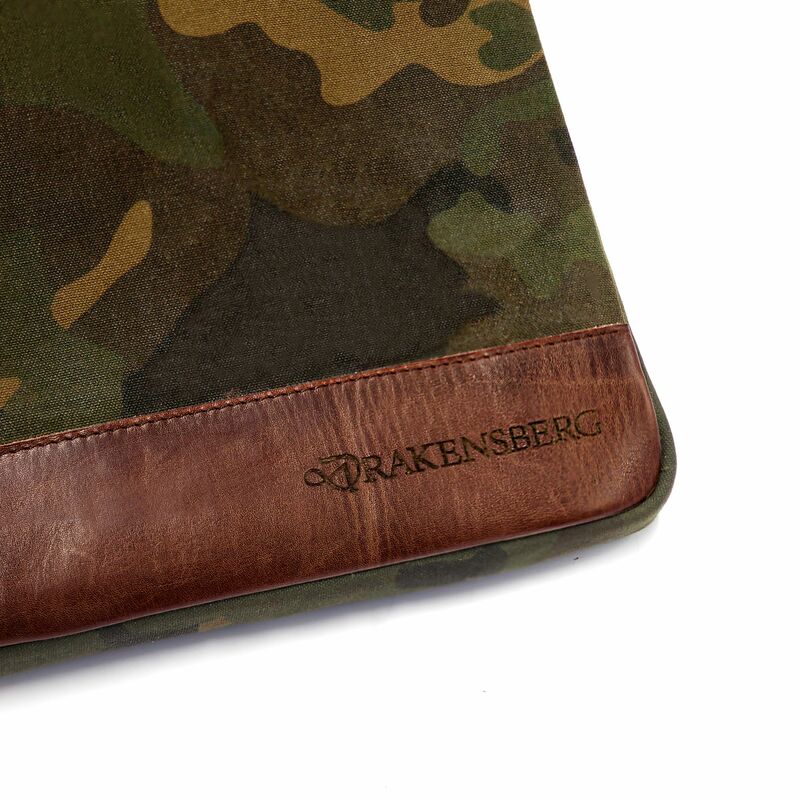 The bag is all cushioned to protect your precious device against shocks and rubbing. It closes with a zip. 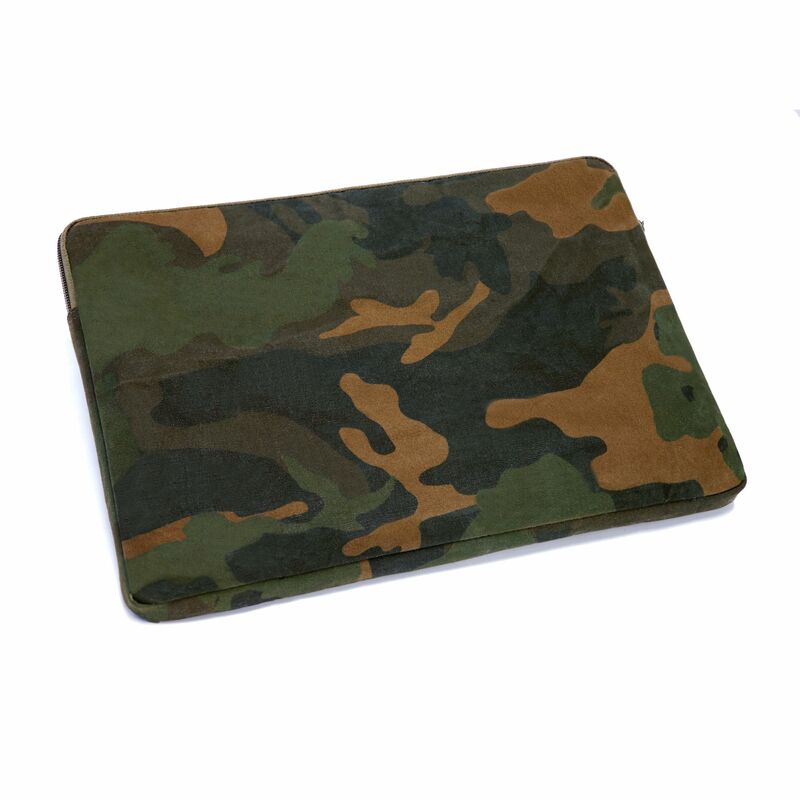 There is no rating for KIMBERLEY - Laptop Sleeve 15" - Camo.